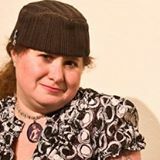 On Sunday, January 18th from 12-2pm, join Left Coast Writers® Live on FCCFREE RADIO’s popular show, Lilycat on Stuff. Lilycat’s guest on Sunday will be Left Coast Writer® Richard Voorhees, author of Shooting Genji. Shooting Genji is a noir romance that careens from the Crash of 1929 in New York to the early Talkies in Hollywood. As a young rube, the story’s protagonist falls from a ladder, leaving him practically blinded by daylight. Nature makes it up to him, though, by giving him shockingly good night vision. Countless shady careers beckon, including working for whiskey smugglers, Wall Street cons, and Hollywood scoundrels. All-too-late he discovers he’s still the guy in the dark; but there’s hope yet. An alluring lady from Shanghai could be his undoing or his salvation. A native of Seattle, Richard Voorhees studied English at Dartmouth College and film theory at the University of Paris. A lexicographer, he is the author of a dictionary of pre-20th century occupations, The World’s Oldest Professions. His film, Proust + Vermeer, premiered at the De Young Museum in 2013. He tweets haiku on Twitter @RichVoorhees.